Sept has just started. But there's some news!! I've been busy on 2 projects: Borderline & Krautscape. Borderline is a short animation which I did sound and music for. It won the Audience Award at the Fantoche Festival in Baden!!!! Mega pride for being involved with this animation by animator extraordinaire Dustin Rees. 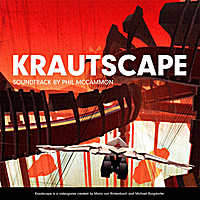 Krautscape is a computer game which completely Rocks!!! Created by Game Designers Mario Von Rickenbach and Michi Burgdorfer, it was selected as one of the best 7 Swiss Games of 2011!!! Methinks a massive dose of good vibes was somehow overdue and that all happened in one week!!! As I've been told so often: why no news? why so quiet? Great food. Best Cheesecake in Zurich (I kid you not) - Great English Breakfast during the weekends too so get over there - check the place out - see my art - The paintings are also for sale if anyone is interested. I was recently contacted by Derek Sivers!!! Derek Sivers set up CDbaby and revolutionised the music industry. I released my CD "All Over Me" on CDBaby in 2007. Derek asked me if I would like to submit a song for a book he has written. I am (apparently) amongst his favourite artists. I just read the book and it's a great read. Fun and interesting. Also really inspiring. GET MY SONGS NOW THROUGH FACEBOOK!!! will be featured in the ultra stylish new racing game "Krautscape" - created by exciting young game designers Mario Von Rickenbach and Michel Burgdorfer from Zurich, Switzerland. I am also doing the entire Game Audio for this project - Sound Effects, Music etc so that's the reason there've been no gig alerts or postings... been a busy but fun time... aiming for a Sept 2011 release. I have also been asked to do the music and sound design for Dustin Reeses next short animation. A great animator, Dustin has already receive much acclaim for his talents as an animator. Scheduled release for "Borderline" is Sept 2011. Click here to get to the "INTO THE WELL" MICROSITE!! !